Hillary Clinton accepted her defeat graciously and called on the country to give Donald Trump a chance. "I hope that he will be a successful president for all Americans. 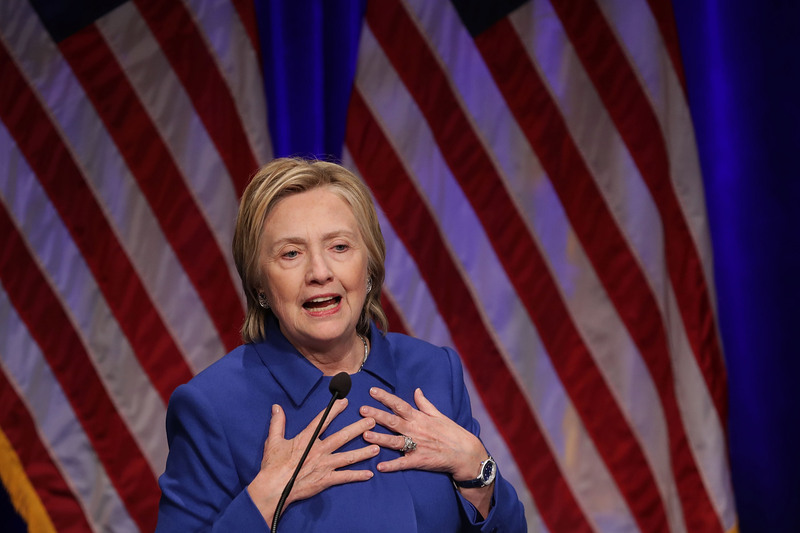 This is not the outcome we wanted or we worked so hard for, and I'm sorry we did not win this election for the values we share and the vision we hold for our country," she told a small group of supporters the morning after. But then it leaked that some computer scientists saw a possibility for election hacking and now she's participating in the recount. So can Hillary Clinton still win? Never say never, but it's highly unlikely. You need to win 270 Electoral College votes to secure your spot in the White House per our constitution. Trump currently has 306 from the various states that he won. At this point there are two ways that Clinton could win the presidency, and both seem like a long shot. Forget the fact that she won the popular vote by more than 2 million votes; that's just not how we decide the winner in our system, for better or worse. The one way that would push her over the top would be the recounts that are started in Wisconsin and likely to get underway in Michigan and maybe Pennsylvania. If Clinton were to win these three states, she would then have the keys to the White House. It's not crazy to think that she would have won them, they made up what many pundits called her "blue wall" that would protect her path to the White House. But the results as we see them now say Trump won them by about 100,000 votes total. If recounts somehow turned up these many Clinton votes, or reduced Trump's, or both, that would change things. The other option would be for the Electoral College to vote for her. According to the Constitution, electors are free to vote for whomever they would like. It's modern precedent that has caused them to vote strictly for candidate that won their state — as well as state laws that obligate them to do so. In the past, when the rules were drafted the first time around, it didn't work like that. And even now the state rules only require small fines for people who break the rules. So they could vote for Clinton, but they almost certainly won't. Of the two options, I would place my bets on the recounts. But even those aren't very promising. Even the Clinton campaign's counsel said so. In the announcement that the Clinton lawyers would participate in the recount, Marc Elias wrote, "We had not uncovered any actionable evidence of hacking or outside attempts to alter the voting technology." So don't hold your breath, but there's always a slight possibility.